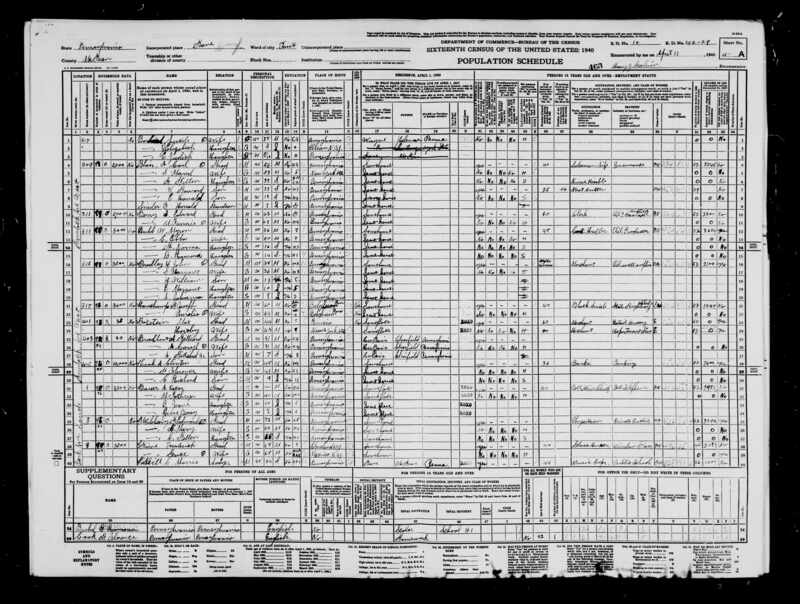 The 1940 Census describes the McCleery household at 3 Park Avenue South in Kane, PA - a house which the family owns and where they have been living since at least April 1, 1935. Edward H. McCleery, head of the household, is described as a white 72-year-old male who works as a physician at a private practice. During 1939 he worked 52 equivalent full-time weeks, his income was $2,596, and he received at least $50 from sources other than money wages or salary. He attended five or more years of college. He was born in Pennsylvania. His wife, Mary N. McCleery, is described as a white 52-year-old female. She does not work, but instead is engaged in housework. Her highest level of education is 12th grade. She was born in Pennsylvania. Their daughter, Hellen C. McCleery, is described as a white 16-year-old single female. She is currently attending school and her highest level of education so far is 10th grade. She was born in Pennsylvania. The United States Census is considered a work of the United States Government and is therefore in the public domain. However, some scans are subject to restrictions. 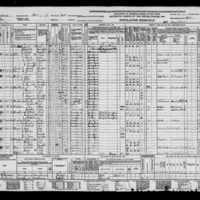 The scan posted here is from FamilySearch.org and is free to use.